Capt. Eric Wallace says, “The go-to rod is a one-piece 11-weight. The 11 has become the rod of choice in the keys. It gives you lifting power to pick up the fly and extra power to fight the fish. 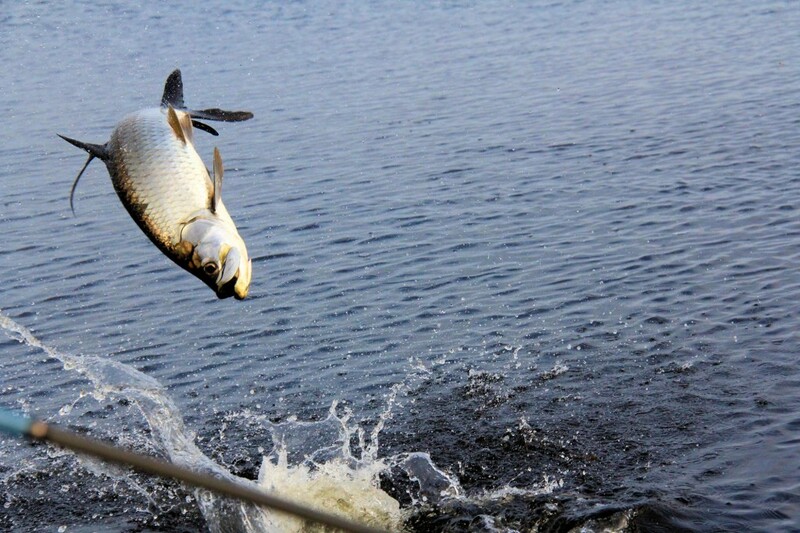 You have to win the battle quickly with tarpon and an 11-weight does that better than a 10-weight. To top it off, rod makers have started putting their best tapers on 11-weights." The go-to rod for saltwater fishing is an 8-weight. An 8 works for bonefish, redfish, smaller stripers, pretty much everything you can think of. For most of us, that means that the further you get away from an 8, either small or larger, the less you’ll use that rod. A 10-weight is not only a great tarpon rod, but works well for permit, roosterfish, milkfish, and most larger tropical species as well as a host of coldwater gamefish like pike and stripers. What I’m saying is that if you go for a 10-weight, you’ll probably get to fish the rod more than one week a year. More importantly, 10-weights can also give you a lot of advantages when you’re tarpon fishing. They are light enough to cast all day and make a more delicate presentation than a heavier rod. 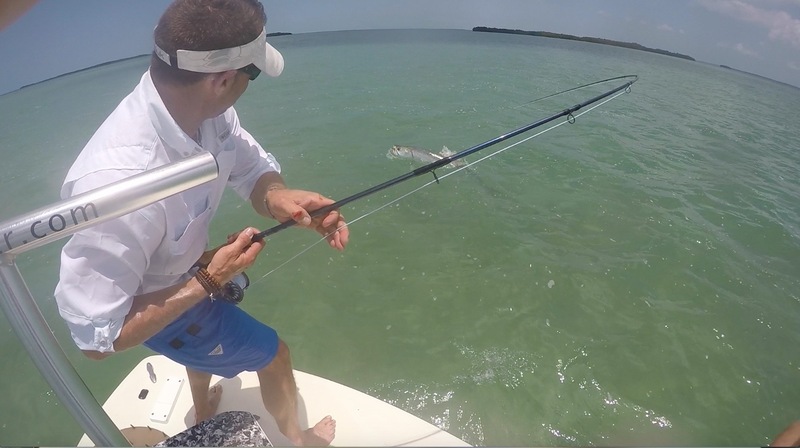 If you’re an experienced saltwater angler, and you’re fishing for tarpon in clear water or high pressure environments (aka Florida), a 10-weight is the way to go. What’s the downside to a 10? It’s harder to land a big fish, and it’s easier to break than the heavier rods. If you’re fishing outside of the US for 150+ lb fish, you may want to think about lining up. Bruce Chard made this argument perfectly: “Go with an 11-weight. A 10-weight is a specialty tool that can work really well, but needs an angler that knows how to apply pressure properly. 12-weights's are just too heavy and hard to cast all day.” 11’s are the split the middle between weight and strength and usefulness and specialization. Not to mention the first choice for all of the Keys guides we talked to. I own an 11-weight. I don’t own a 12-weight. I like to think of the 11 as a “the new 12”, it’s a great fish fighting tool that you’ll be able to use anywhere there are big fish to be caught. It’s easier to fight big fish on than a 10, and it’s lighter to cast than the 12. So why wouldn’t you want an 11-weight? Well, for exactly the same reasons it’s great: It’s not as light or delicate as a 10, and doesn’t fight fish as well as a 12. You already have a 10- or 11-weight you like. You’re also planning a trip for sailfish or big GT in the near future. 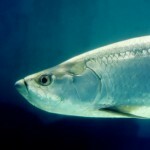 You’re going to a well-known big tarpon destination like Costa Rica or West Africa. Ok, I’ve decided. Now which rod should I go with? Our current favorite saltwater rods are the Scott Meridian, Hardy Zephrus SWS, and Orvis Helios 2. It’s also likely that the new G. Loomis Asquith will be a top contender. We’re here to help. Drop us a line at support@tridentflyfishing.com or call us at 888-413-5211. If new to tarpon fishing I would hire a guide and take a spin rod and learn how to fight one first because a tarpon is a whole other deal.Then I would look at some of the older tapers like a sage xi2 or xi3 that are proven and go with a 10 or 11 and put a good reel on it with a good drag and the best line you can buy.I said good drag not necessarily the most drag you can get as that can cause you to loose a good fish.With the money you save go tarpon fishing as often as you can because experience is the best teacher.You'll then know what is for you.Personally Iv'e whipped some nice tarpon on a 10 wt. but if I was where I could possibly jump one over 150 I would want to have a 12 in my hand.Iv'e seen some of the best fisherman I know get humbled pretty quick by a big tarpon so keep that in mind that's tarpon fishing but in my opinion there is nothing like it.It's my drug of choice!